You will need to mark one apron in position to determine the final length of the pieces. Start by cutting the aprons about 36 inches longer than the cap rails. Next, mark lines along the top ends of two adjoining braces that divide their thickness in half, and clamp a wood strip as a straightedge along each marked line. 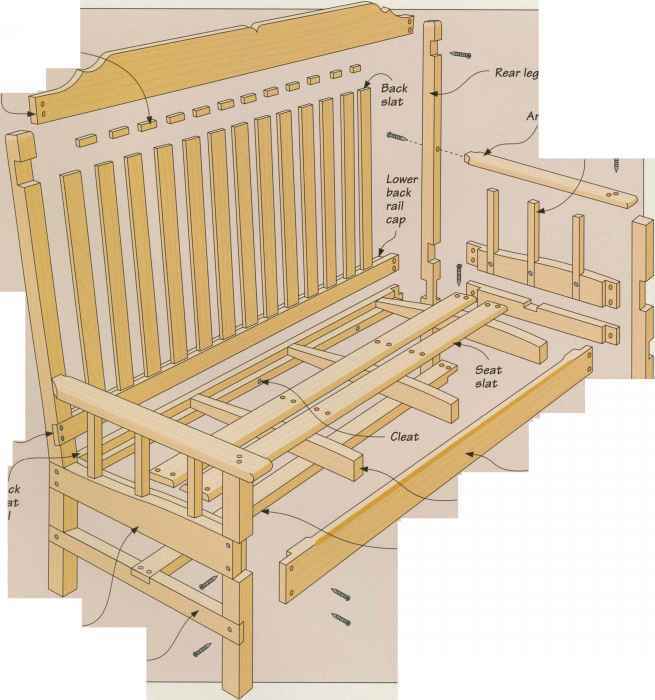 To mark the apron, work with a helper to hold the board in position at each end; making sure the apron is flush against the seat supports and butted against the underside of the straightedges, run a pencil along the wood strip at each end of the apron (above). Trim the apron, then use the piece to mark the remaining ones.